Duchess Brooch https://www.review-australia.com/asia/duchess-brooch-silver/RE19ACC128.REGRY016.OneSize.html The Duchess Brooch is the perfect finishing touch to add to formal tops, dresses, or coats. This flower-shaped brooch features beautiful diamante and pearl embellishment with silver hardware. The Duchess Brooch is the perfect finishing touch to add to formal tops, dresses, or coats. 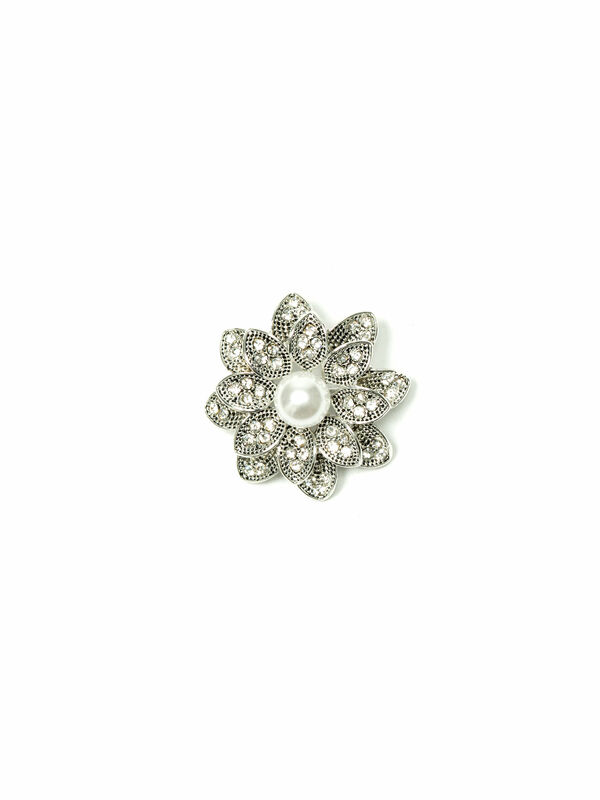 This flower-shaped brooch features beautiful diamante and pearl embellishment with silver hardware.